I’d always heard the name Jim Henson spoken about with reverence in the many (mainly geeky) circles that I move through. I’d only ever seen The Dark Crystal, a seminal work of his, on my computer screen quite recently (I kid you not within the last year) and so I looked forward to enjoying the film in its proper glory in a cinema thanks to the good folks at In the House screening it as part of a double feature alongside Labyrinth. Before the film screening started proper, I was finally able to see the Movie Nerds (the guys replacing Quinny and Jabba) do their bit for In the House. The two gents did their best to warm up the crowd before the film but there was a bit of me that missed the old showmanship of our previous hosts but I’m sure these new guys will grow on us with time. 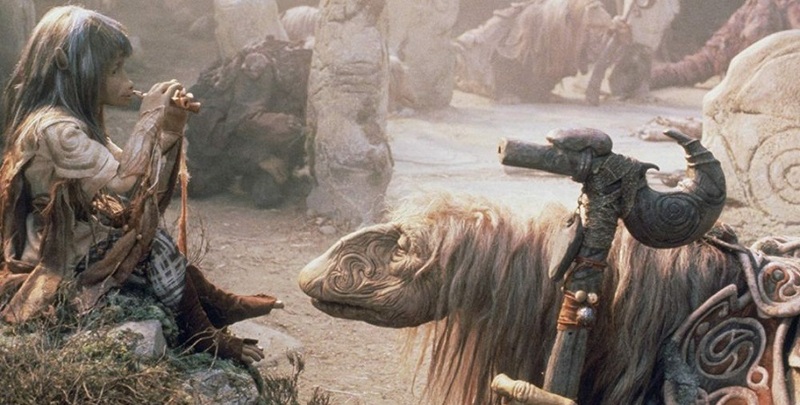 One bit of trivia tidbit they shared about the film which I quite enjoyed was that Henson lived long enough to see The Dark Crystal become a cult classic and that fact brought him much joy after the disappointment he experienced with its lacklustre release. In the fantasy world of Thra, a thousand years ago a powerful and mysterious crystal is cracked which leads to the creation of two new races of beings to be created; the malevolent Skeksis and the gentle Mystics. The film follows a Jen (Stephen Garlick), a Gelfling prophecised to heal the crystal, as he embarks on his quest. 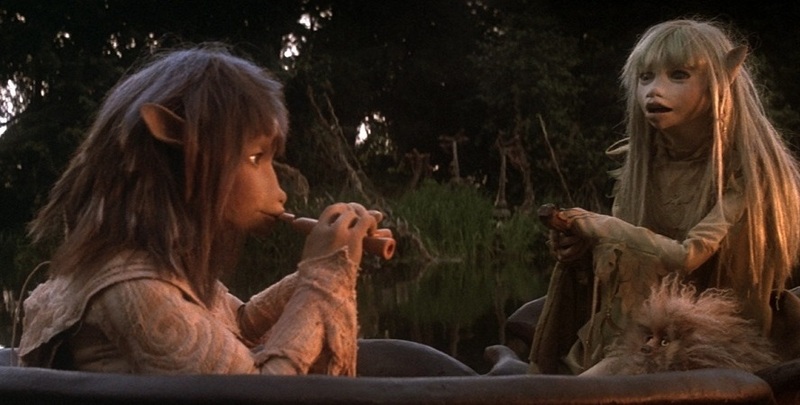 Along the way, Jen meets another of the Gelfling named Kira (Lisa Maxwell) who can talk with animals and she joins him on his journey. The Skeksis soon learn of this unlikely and gentle hero and work to thwart him long enough for a solar conjunction to take place that will empower the Skeksis to rule forever. 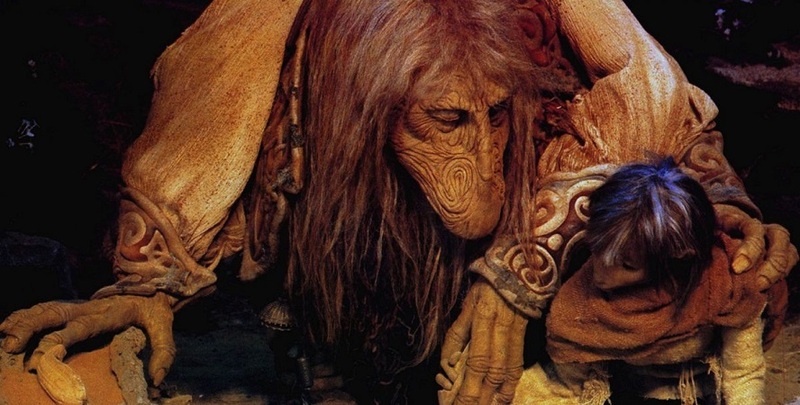 The film’s narrative is one of the weakest parts of The Dark Crystal with a lot of the story being rather bland and often derivative. The main shortcoming that I can explain for this is that the film lacks any sense of character in either of its protagonists, antagonists or supporting characters. Neither Jen nor Kira have any defined personalities with which the audience can perceive the world through; there’s nothing about their perspectives which is in anyway interesting or informative about themselves or the fantastical world they live in. It’s an unfortunate and common hole to fall down in when writing high fantasy stories for a storyteller to fall down in when they get caught up on describing the lore and workings of the world rather than having the story proper showcase it. The film tries to recreate the feeling of a children’s fairy-tale by using stock characters, but this unfortunately stymies the worldbuilding. Our heroes and villains are simply too generic to really leave much of an impression; our questing hero is questing and villainous villains perform villainy… that’s it. Because these characters are more concept than concrete, the rest of the story can’t go into any further depth about the world around them and their place in it. So while the film certainly features an imaginative and unique fictional world, the audience gets to experience a very limited and, ultimately, boring slice of it. This lack of direction in the narrative leads to an unfortunate state of affairs that plot rather than character drives the story. Our heroes come against complications of varying types and often escape by the skin of their teeth only because the story needs them to rather than their own strengths or wits. Ironically, due to her propensity for getting them out of these complications more often than not, Kira ends up outshining Jen purely for the fact that she is some degree of competent when it comes to dealing with the problems that arise. I feel the script and world would have been able to do so much more with the world if it had some more defined characters to explore it with. Conversely, because the film’s story never gets bogged down with any sort of depth in any of its characters, it is able to move through the story at a fairly brisk pace. Despite all that I’ve said in the above paragraphs, I was never actually bored during the film’s runtime; there was always something on the screen to hold my attention. 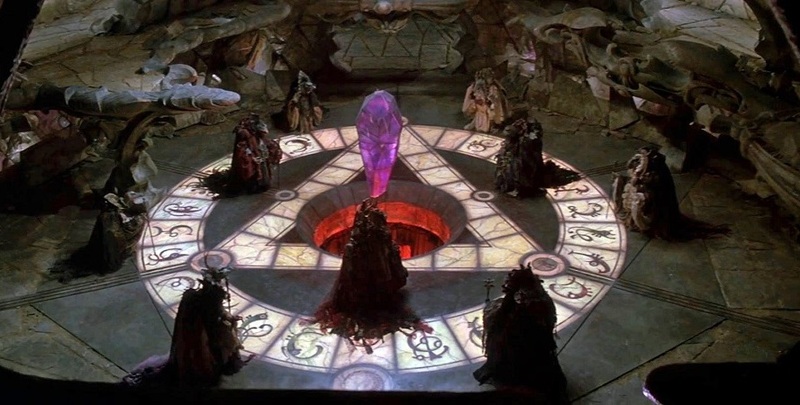 I think this element makes The Dark Crystal a perfect film for children to enjoy and I completely understand how the film is able to be a childhood favourite for so many. I fear the film’s greatest limitation was that I never got to see it as a youngling. The film’s visuals are some of the best I’ve seen in any production in recent memory with some truly inspired creature designs, sets, and general cinematography. Henson’s talent and sense for puppetry is on full and glorious display throughout the film. The puppets all have an interesting design to them with plenty of creatures of all shapes and sizes. 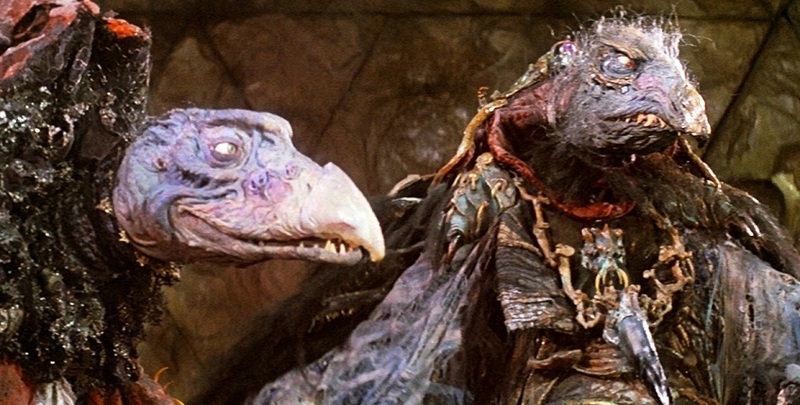 The bird-like Skeksis and crab-like Garthim are especially great designs for villains in an adventure film. The puppet sets are similarly interesting with a nice breadth of scenes ranging from murky swamps and woodlands to rural villages and more ornate stone chambers. The spaces are all visually interesting and keep the frame filled with a plethora of interesting subjects. I may have gone to town on its shortcomings with story and character but gorram, it’s a beautiful piece of cinema. The film’s soundtrack is not particularly noteworthy unfortunately. There’s not much which sticks out of the score and I’m incredibly hard-pressed anything of note either good or bad. It does the job it sets out to do in reinforcing the film’s emotional beats but doesn’t leave an impression on you after the film’s credits roll. Overall, I found this film to have a lot more flair than real substance to it. The story was shallow and underdeveloped and could have done more with a bit more development of its characters and plot. The film’s audioscape was similarly uninspiring without much to really leave an impression on you either way. 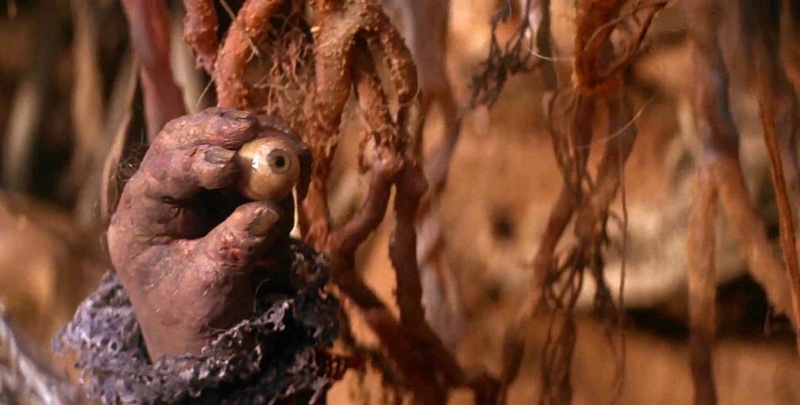 The film’s visual design is the film’s saving grace and Henson should be properly praised for his creature designs, scenery and puppetry. I imagine this film is better seen through the eyes of a child and is wasted upon a crotchety young man such as myself; watch it young or with nostalgia for youth to get the best out of it. 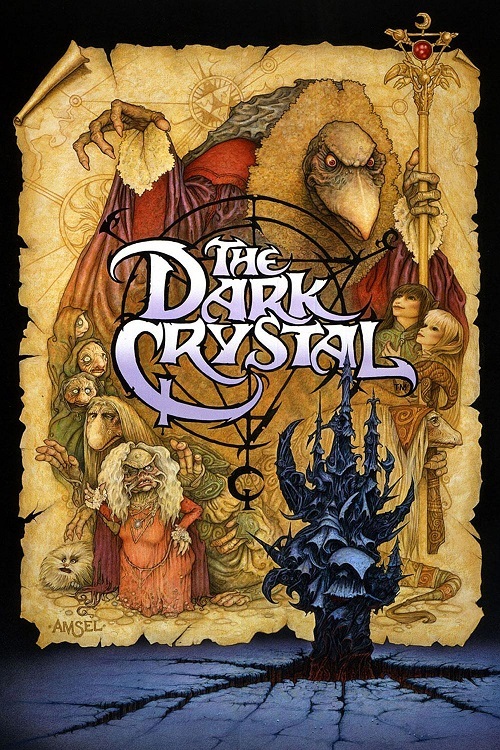 The Dark Crystal is a pretty but shallow children's adventure film which will wow kids but might underwhelm adults.